Product Spotlight – Pro-Line 2.8″ Closed Cell Foam Review « Big Squid RC – RC Car and Truck News, Reviews, Videos, and More! * The closed cell foams weigh more than old school foam. A mounted PL Trencher with closed cell foam weighs in at about 206 grams. 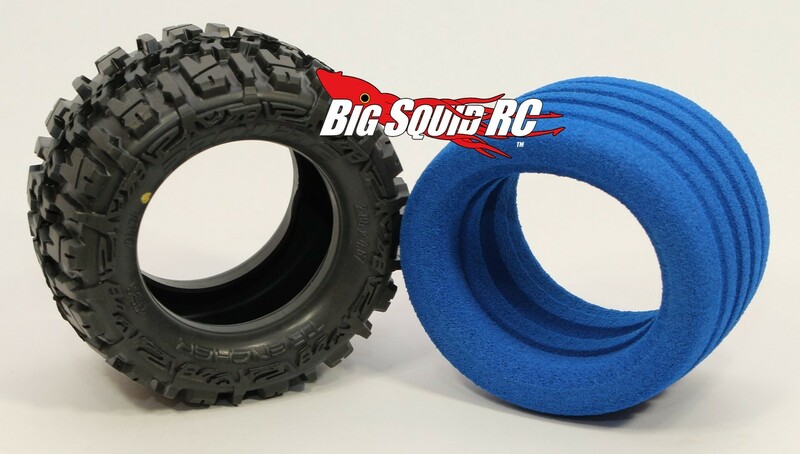 The same wheel and tire with a traditional foam weighs in at 180 grams. The upside to the increased weight is that it is easier to pull trick maneuvers like back flips and front flips in the air. The downside is increased rotating and unsprung mass, which can make your electronics run slightly warmer. During our testing we did notice slightly warmer temps but nothing drastic. 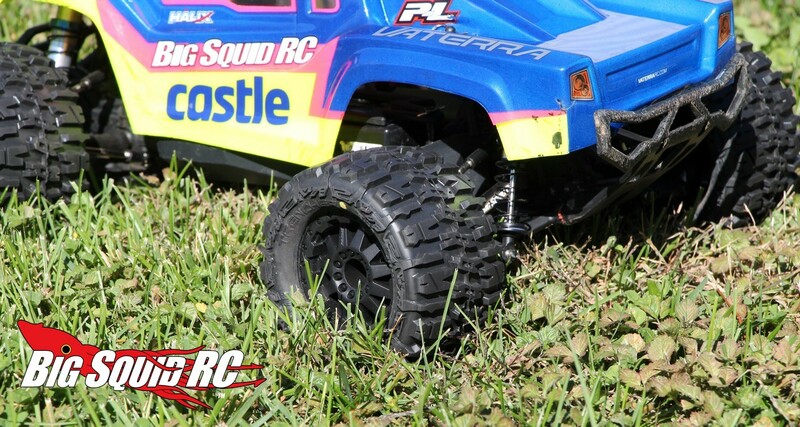 * We mounted a closed cell set-up on one side of our review Pro-Line PRO-MT and the same wheel/tire with traditional foam on the other side. We then popped in a 3S LiPo pack and stabbed the gas HARD. The result? There was noticeably less ballooning of the tire with the closed cell insert. Less ballooning makes your truck much easier to drive at high power levels. * We drove the inserts on a wide variety of surfaces. From the high bit carpet track at the iHobby Expo hall, to the damp high bite dirt inside of Leisure Hours Raceways, to the high bite asphalt at our local CostCo, the closed cell foams drove noticeably better than old school foam. The closed cell foams gave all the trucks a more precise feel and they also seemed to have more mechanical grip. * We found the trucks we used the closed cells on much easier to drive when doing speed runs. We did speed passes with two different trucks, the PRO-MT and a Vaterra Halix. Both were using MaxAmps 3S LiPo and Castle brushless power. We found the tires ballooned less with the closed cell inserts and were much easier to drive as they neared their top speeds. Overall – for general bashing we found the Pro-Line 2.8″ closed cell inserts to be a huge improvement over old school foam. The inserts are priced at $11 per pair and you can get more details at This Link over on Pro-Line’s website. 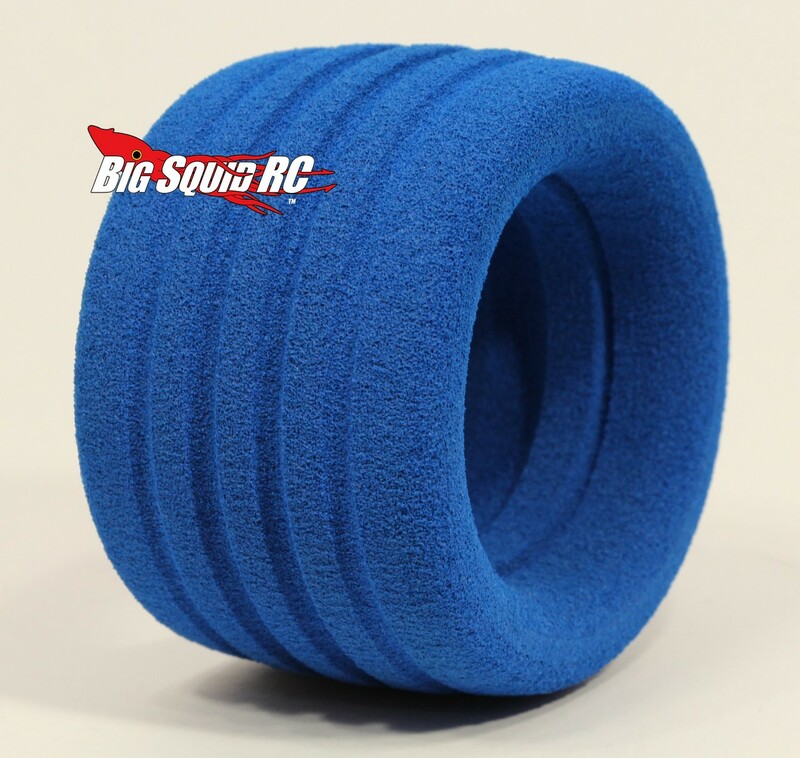 Click Here to read more reviews on BigSquidRC.